The WAATS, located at Silverbell Army Heliport in Marana, Arizona, is used to improve the overall aviation readiness of our Active and Reserve Component Soldiers and aviators as well as troops from several partner nations. Courses taught at WAATS are approved by the Army’s Training and Doctrine Command. The United States Army Aviation Center Fort Rucker, Alabama provides certification, quality control, and standardization for the courses taught at the WAATS. The WAATS training site was originally designed to train unique skills to ARNG Soldiers. The WAATS is a field operating agency of the National Guard Bureau and is operated by the Arizona ARNG. 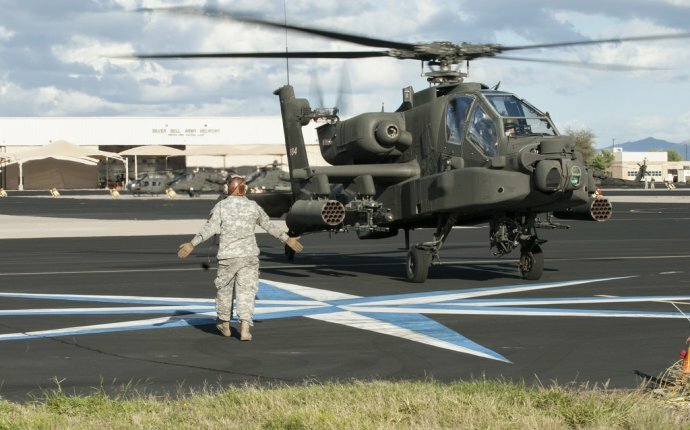 The ARNG and the WAATS will continue offering AH-64A (Apache) and OH-58 A/C (Kiowa) courses including aviator and instructor pilot and maintenance test pilot qualifications. The WAATS also provides a variety of courses for enlisted Soldiers including: aviation operations specialist, Basic and Advanced Noncommissioned Officer Courses, and helicopter repairman training. Beginning in January 2009, WAATS is scheduled to begin AH-64D (Longbow) aviator and instructor pilot qualification training. This will be the first time that the WAATS has been given authority by Fort Rucker, Alabama to teach a modernized aircraft course—an important development for ARNG aviation. In the future, WAATS will provide new equipment training for the Tactical Unmanned Aircraft System. The WAATS provides the Army with the flexibility to both complement and supplement the institutional training conducted at Fort Rucker by providing additional trained and ready crewmembers and maintenance personnel to support both current and future combat operations. The abundance of available airspace at WAATS allows for realistic aerial gunnery training in both desert and mountainous environments.